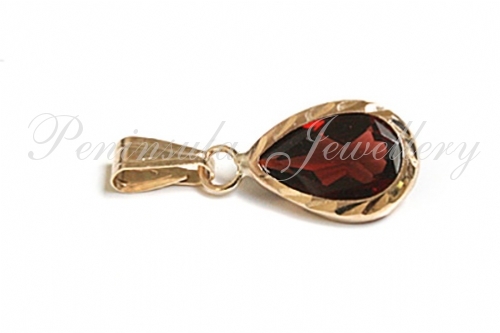 Featuring one 8x5mm natural pear cut Garnet Gemstone set in 9ct gold with diamond cut edging. Gemstone weight - .41ct. Dimensions: 12mm deep x 7mm wide at the widest point (excluding bail). Supplied in a luxury gift box. Made in England.